Home / Buy Original Products / LCD TV / LED TV / Samsung / How to Check if a Samsung LED TV is Original or Fake? How to Check if a Samsung LED TV is Original or Fake? Markets are full of fake LED TVs and it is quite hard to differentiate for a common man. People often ask me how to check if a Samsung LED TV is original or fake. So here I will show you how easily you can verify if any specific Samsung TV is original or not? How to Check if a Samsung LED TV is Original? 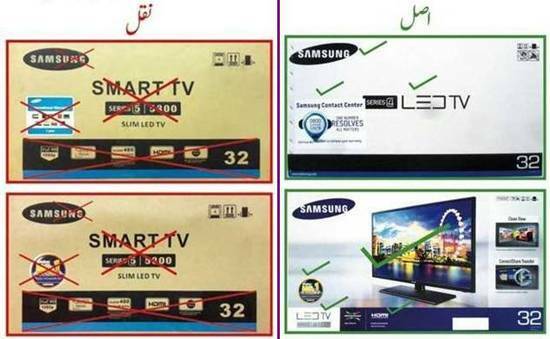 Samsung Pakistan has provided information for its customers' to check originality of Samsung LED TV before buying, through following advertisement. How to Check if Samsung LED TV is Original or not? There should be authentic distributor logo on warranty card. MRM and Smart Zone are official distributors of Samsung TV. 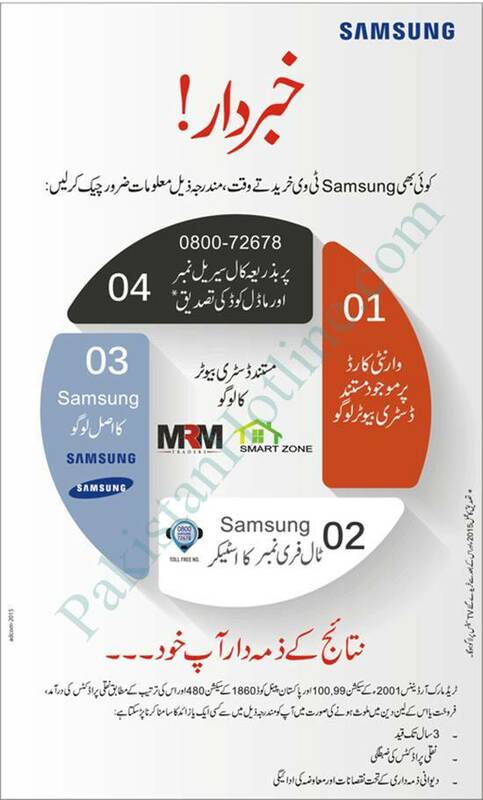 There should be a sticker of Samsung Toll free number. If there is not sticker on the box it is a fake TV and you should not buy it. Carefully examine the Samsung's brand logo as given in the above image. You can confirm by dialing Samsung Helpline 0800-72678. They will ask for model code and serial number and will reply you after checking from their database. If it is genuine they will inform you otherwise you may have brought a fake item. It is only applicable to the TVs bought during and after year 2015. There are many other evidences of copied products e.g. if the quoted price is very less and have a lot of features, its only mean that the item is not genuine. You can also ensure that you are buying the original product by purchasing it from company's authorized dealers.